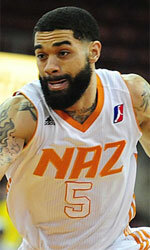 Defending champion Seoul SK Knights (KBL) inked 32-year old American guard Chris Lofton (188-86, college: Tennessee). He played most recently at Le Mans Sarthe Basket in French ProA. In 34 games he recorded 9.9ppg, 1.9rpg, 1.4apg and 1.0spg last season. Lofton helped them to win the league title and they also made it to the Cup final. The previous (16-17) season he played at Neptunas (LKL) in league where in 25 games he averaged 10.9ppg, 2.4rpg, 2.2apg and 1.4spg. Lofton contributed to his team making it to the final. Lofton also played 2 games in Basketball Champions League where he had 7.5ppg, 4.5rpg and 1.0apg. In 2010 (two years after he left the college) Lofton was drafted by Iowa Energy (D-League) in first round (6th overall). The former University of Tennessee standoutis in his eleventh (!!!) season in pro basketball. Among other achievements he received Eurobasket.com All-EuroCup Honorable Mention award back in 2015. Lofton has played also professionally in Russia (Lokomotiv), Spain (Movil Estudiantes) and Turkey (Besiktas and Mersin Buyuksehir Belediyesi). 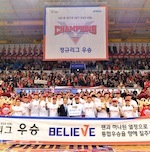 Mobis Phoebus earned the KBL title. They overcame ET Land in Game 5 of the championship series to win it 4-1. The hosts trailed by 4 points at the halftime before their 53-41 charge in the second half, which allowed them to win the game. The best player for the winners was the former international forward Ricardo Ratliffe (203-89, college: Missouri) who had a double-double by scoring 20 points and 12 rebounds. American guard Shannon Shorter (193-89, college: N.Texas) chipped in 16 points, 8 rebounds and 6 assists. American guard Tu Holloway (183-89, college: Xavier) produced 23 points and 4 assists and the other American import power forward Charles Rhodes (203-85, college: Mississippi St.) added 13 points and 7 rebounds respectively for the guests. Five Mobis Phoebus and four ET Land Elephants players scored in double figures. ET Land Elephants' coach rotated ten players in this game, but that didn't help. Mobis Phoebus stepped closer to the title. They edged ET Land to open 3-1 advantage in the championship series. American guard Shannon Shorter (193-89, college: N.Texas) fired 24 points and 6 assists for the winners. The former international forward Ricardo Ratliffe (203-89, college: Missouri) chipped in 23 points and 8 rebounds. Four Mobis Phoebus players scored in double figures. American power forward Charles Rhodes (203-85, college: Mississippi St.) produced a double-double by scoring 33 points (!!!) and 13 rebounds and his fellow American import guard Tu Holloway (183-89, college: Xavier) added 26 points respectively for lost side. ET Land Elephants' coach rotated ten players in this game, but that didn't help.